The weather in Singapore has been really bad of late thanks to the slash-and-burn forest fires taking place in neighbouring Indonesia. The PSI levels have rocketed to a sky high of 400+, one of the first in Singapore history. It's moments like this where people go into frenzy and snap masks of ANY kind and air purifiers off the shelves. With some mean people even snapping up stocks and then reselling for sky high prices. The haze hasn't been too friendly to me as my respiratory track's sensitive. My eyes would water and I'd get dizzy from inhaling all that 'smoky air'.. I couldn't put on my contact lenses this morning and it stung my eyes to do so.. my plans to bake have also been pushed away as my kitchen is barely 'protected' from the harmful air. It's been a little better today. The PSI levels and PM 2.5 levels are lower but I know it's only temporal. Sooner or later, it'll come back soon and there's pretty much no signs of it letting down as yet as the hotspots burning in Indonesia show no signs of decrease. Doesn't help that it's one of the driest months around too. Nevertheless, inspired by a friend in the facebook cooking & baking group I'm in, I whipped up this simple snack for my sis and I. 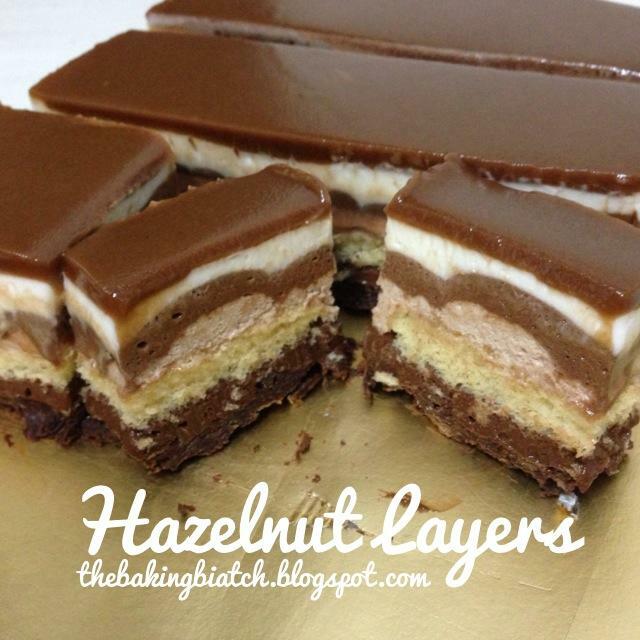 A almost guiltless treat. 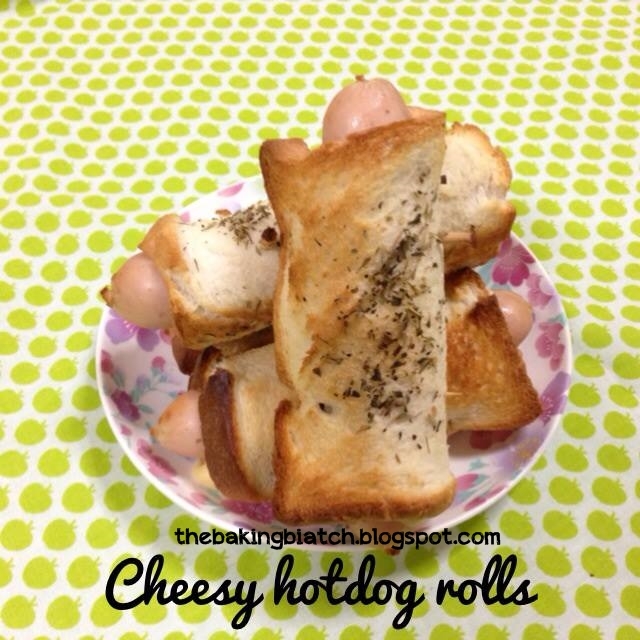 Baked instead of deep-fried, these Cheesy Hotdog Rolls are the perfect treat for any day when you're kinda hungry and craving for something good! These are so simple and almost effortless they I'd rate them a difficulty level 1 out of 5 and it takes merely 15 minutes or so to complete them! So, these little darlings from Mcdonalds Singapore have been the rave! They're a little like the millennium rage altogether.. just that they're smaller, flatter and a whole lot cuter! These were those that caused congestion, overnight queues, food wastage and even fights outside McDonalds! Well, I got my set from Hong Kong last year when I was there with the fav boy and his family. This owl is my prized possession and coincidentally my favourite of the lot! Singapore launched them this year and the Witch and Singing Bones were what I did not get from Hong Kong. I'm totally looking forward to purchase the Singing Bones since I've already gotten the Witch! So as you've known.. I've been blogging for quite a bit and since I have an extra box of LITTLE RED RIDING HOOD Kitty, I've decided to do a giveaway! 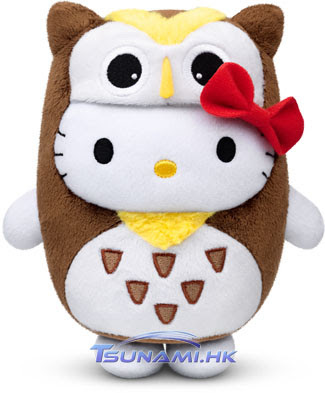 1 lucky winner will 'walk'away with 1 Singapore version of the Little Red Riding Hood Hello Kitty! So the steps to participate in this giveaway are really simple. 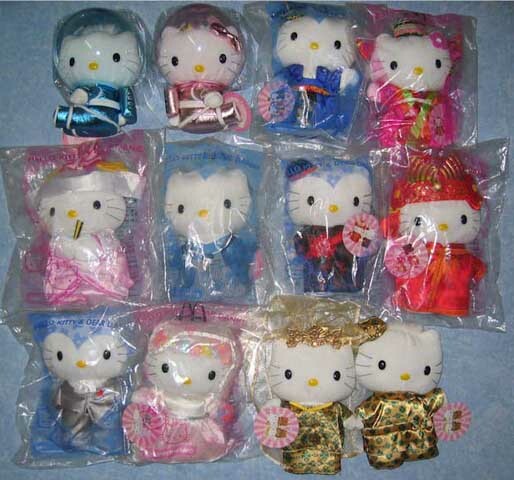 2) Leave a comment on this blog entry completing this sentence.. "I would love to win this Hello Kitty because...." and leave your name and country! 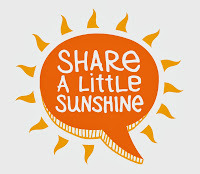 Of course, share it with your friends so everyone may have a chance to win! Giveaway is open to ALL readers of ALL countries. I will bear the cost of the postage. This Panda Loaf is so adorable that it's almost irresistible. 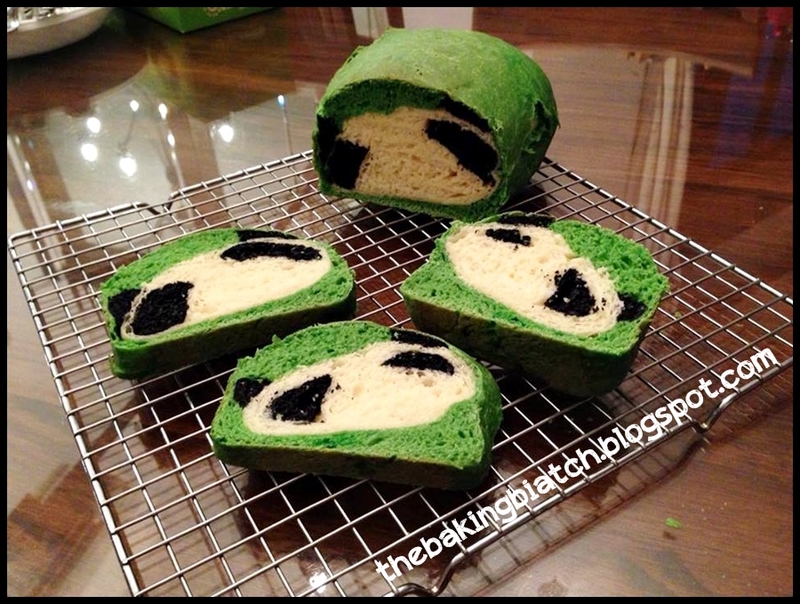 This recipe and tutorial will show you how to shape the panda loaf. A word of caution though... such sculpted loafs' design is dependent on how you shape your bread. 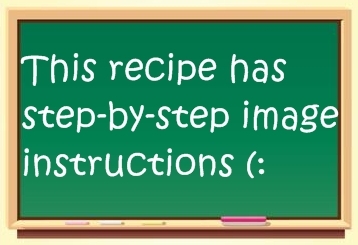 Even if you were to follow this recipe and tutorial, you may not get the exact same size of eyes/ears etc for your bread. But then again, that's the fun of such loaf breads! So this recipe takes about 4 hours in all to prepare. I used a Kenwood BM 250 bread machine to mix my dough but you can use the same recipe for your bread machine or stand mixer. I'd rate it a difficulty level 4 out of 5. Here's a video tutorial to show you how you can wrap a rice dumpling! 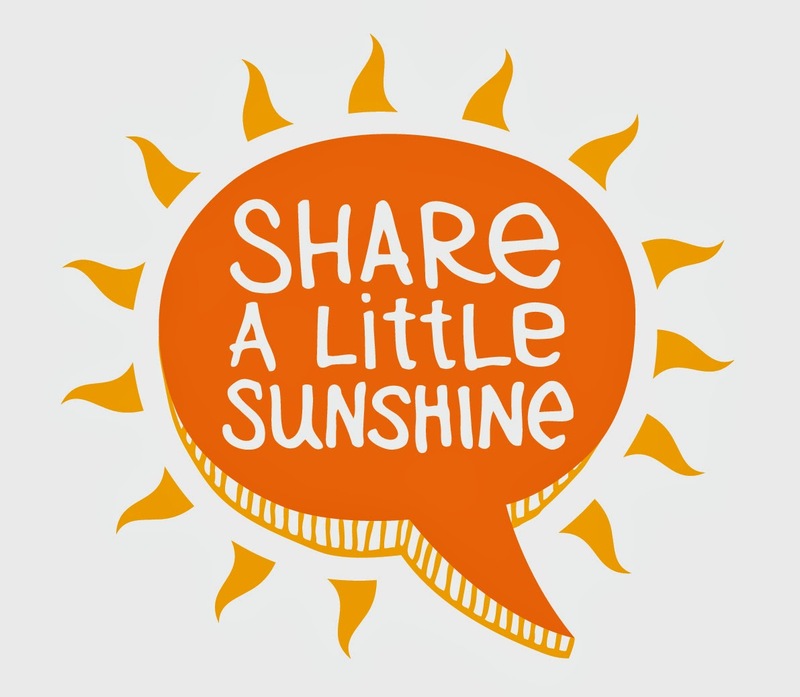 *Please forgive the 'slantedness' of the video! Here's a video tutorial to show you what to look out for when whisking non-dairy whipping cream to stiff peaks. 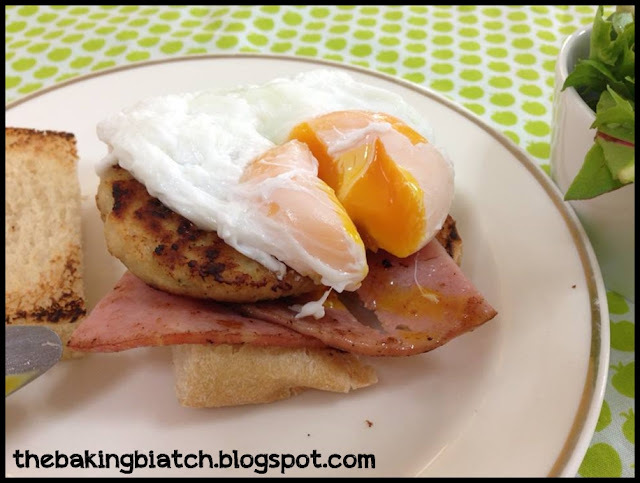 Love runny poached eggs? Then you're bound to love this method of poaching eggs that gets you a beautifully poached egg in under 5 minutes. You'll only need fresh eggs, vinegar & hot water. It's that simple! 1) Boil the water or use hot water from a kettle. 2) Bring the water to a simmering boil (small fire). 4) To the small pot of water, add a tablespoon of vinegar and stir well. 5) Create a gentle whirlpool by stirring the water in the pot in one direction. 6) Gently pour the egg into the pot. 7) Allow egg to cook for 3 minutes. 8) Remove using a slotted spoon/sieve to drain away most of the water. 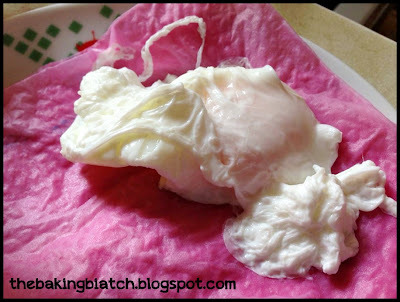 10) Drain egg on pieces of kitchen towel. 11) Pat dry with kitchen towel gently before serving. The EGGLESS in this recipe refers to the omission of raw eggs unlike what most recipes call for. If you're looking at a totally egg free version for someone who's allergic to eggs or a vegetarian, may I suggest baking your own ladies' fingers. I have yet to try baking them so I shan't recommend any recipes. But do a quick google search, you'd be able to find a couple of them like I did! 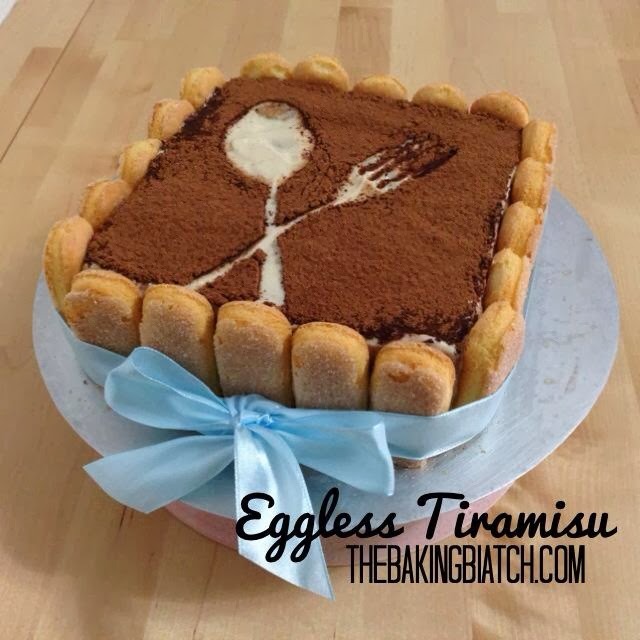 Alternatively, you may replace it with an eggless sponge cake. 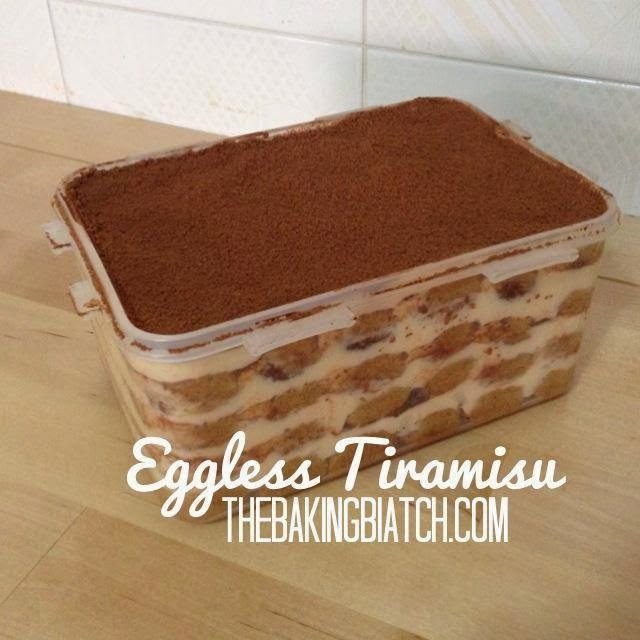 So there you go, a solution if you'd like to have a totally eggless rendition of a lovely Tiramisu! Check out this link for the video tutorial! The quantity for the Tiramisu shown in this video tutorial is the same as what you see in this image tutorial, just that it is being made in a 5.5" square cake 'ring'. This is a hit to those many friends and family I've shared this with! ppppst... here's another tub I made in early September 2013! It sure looks good packed in the container! 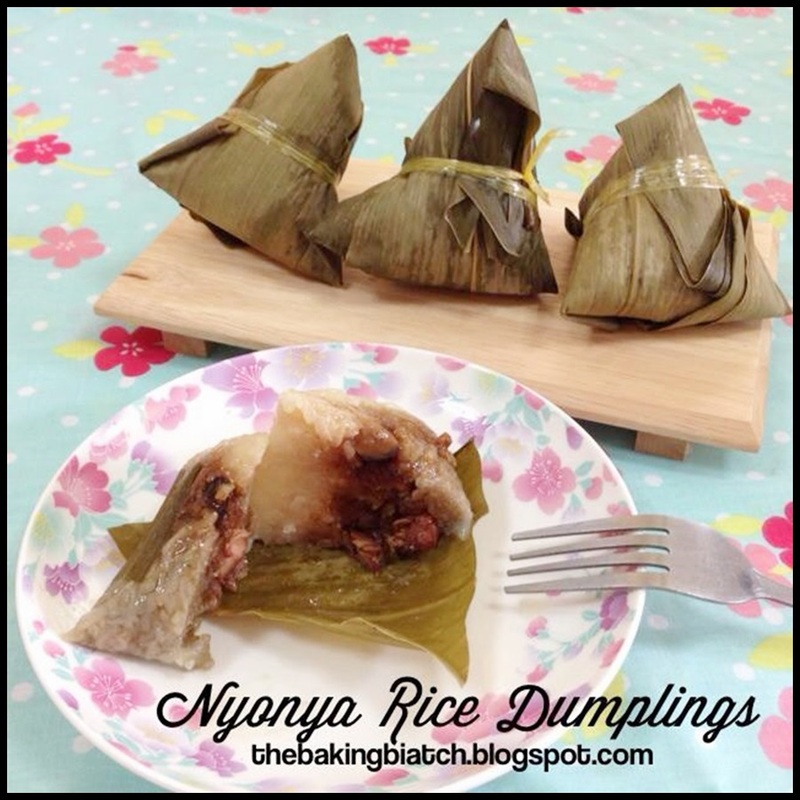 This recipe is really simple so I'm rating it a 2 out of 5 stars in terms of difficulty. It takes about 15 minutes to whip up the entire dish. 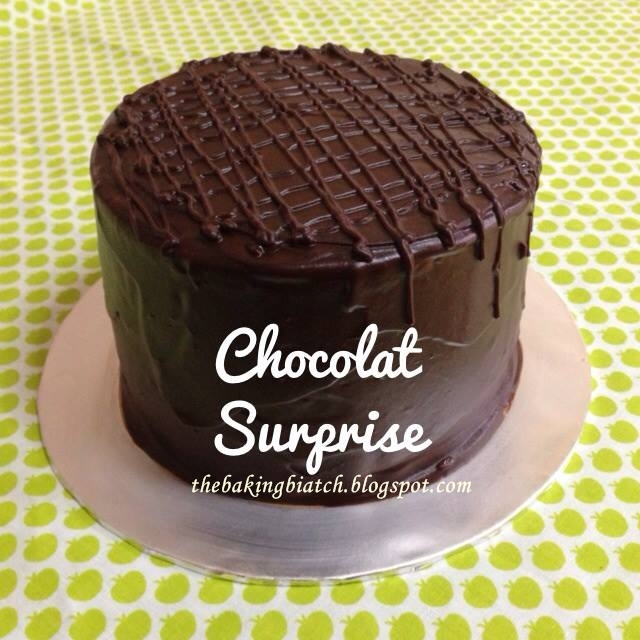 A rich Secret Recipe-alike Ganache covering a cake with luxurious chocolate cream and chocolate sponge cake. Within it hides fresh seasonal mango cubes. What's there not to like? This was baked for Adrian as a secret surprise birthday gift which I delivered to his office in church. 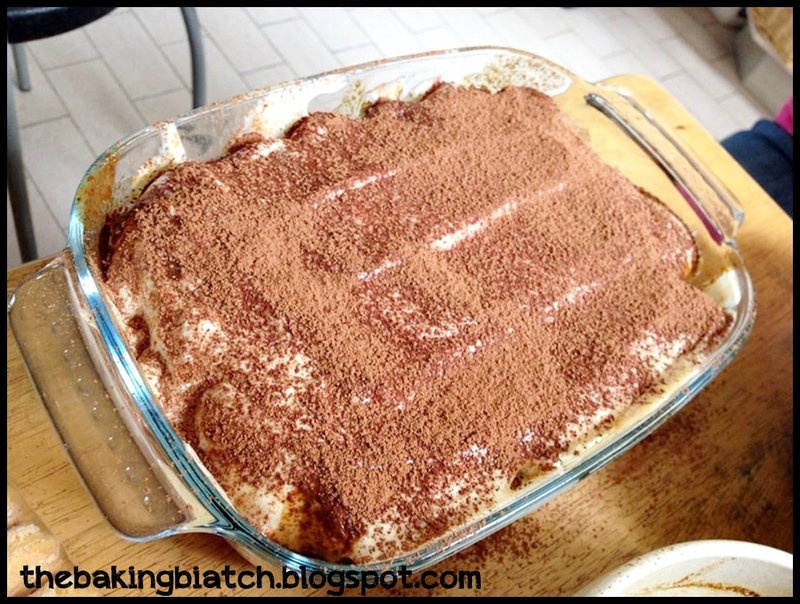 This recipe takes about 3 hours in all to put together and I'd rate it a 3 out of 5 in terms of difficulty. This weekend marks the end of my first week in school. Its been great so far being back to where I feel I belong: being a teacher. It has been challenging in terms of time management as I struggle to sleep early and wake up at 5am to get ready for school. Being a night owl (with a family of owls who don't sleep early), I struggle to sleep early. Anything before 12 midnight is not the norm in my household! But no such late nights for me any more as it would mean very few hours of sleep every night! Adjusting is indeed tough. Nevertheless, I'm thankful that God has granted me with a great working environment that is coincidentally that fav boy's primary school that he used to attend! God has indeed a great sense of humour! In any case, I baked a cake for Rui En's first birthday party which was held at Downtown East Resort. This place sure brings back loads of memories. It's like the place for 'birthdays and celebrations', Singapore style. The favourite boy and I attended the party and the place sure brings back loads of memories. Anyway, this is the second rendition of the Rainbow Cake with a different recipe from the first one. 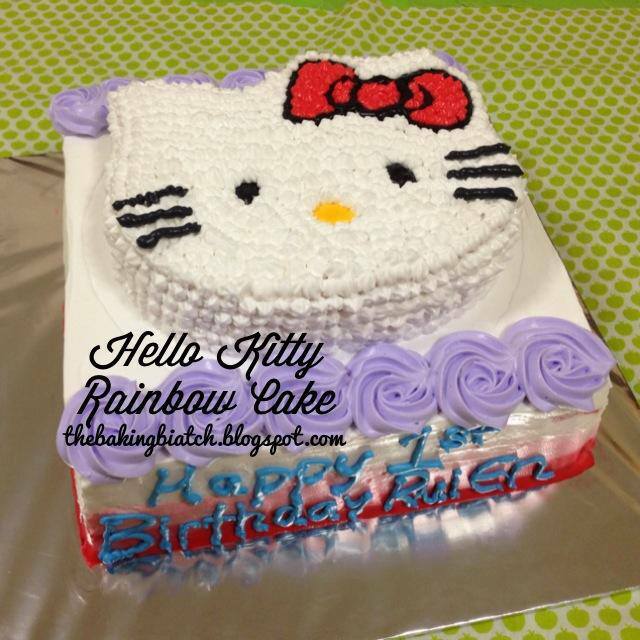 I made a Hello Kitty cake with this 10" square rainbow cake as a base with a 7" carved Hello Kitty cake on top. 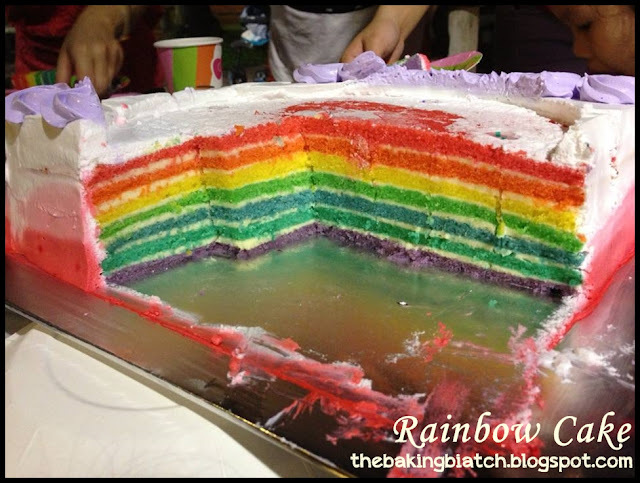 This tutorial & recipe will be for the rainbow cake layer below (: I did a total of 7 layers for this cake.. This cake will take about 2 - 3 hours to bake depending on your speed and I'd rate it a difficulty level 4 out of 5.